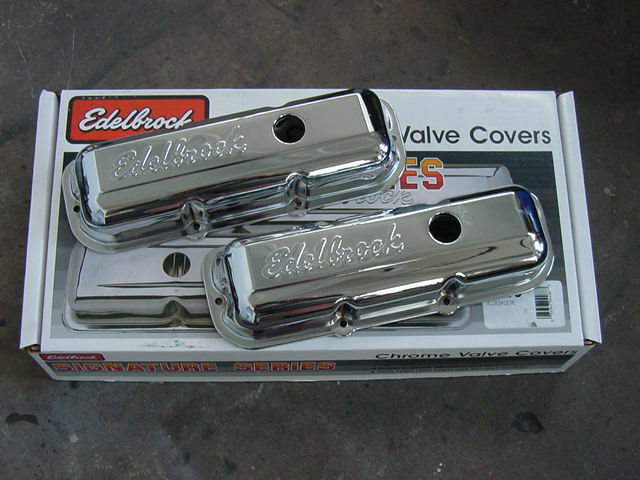 Edelbrock's Signature series chrome valve covers are engineered for function and styled for good looks. 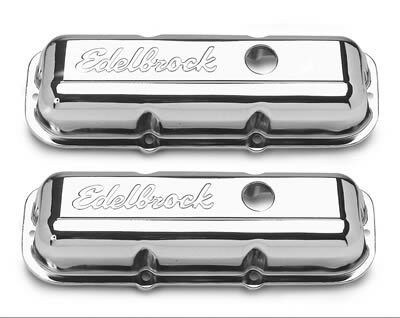 They're triple chrome plated for long lasting good looks and have stock-style breather baffles that prevent oil passage to the PCV valve. 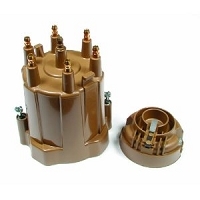 These quality valve covers accept all emissions equipment, including PCV valves, and include rubber grommets for the breather and PCV valve holes. 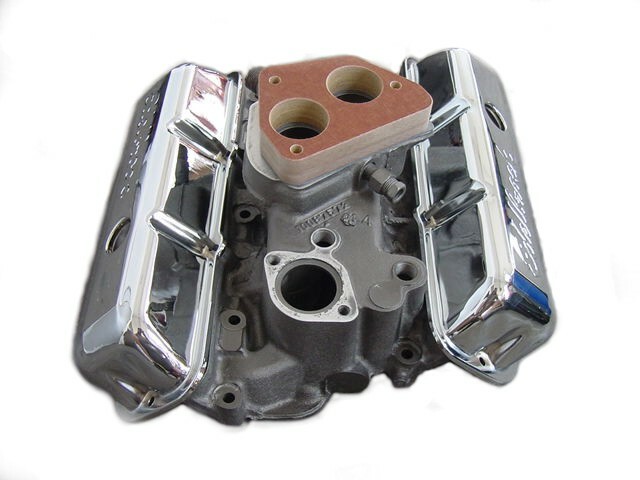 The covers clear most aluminum rocker arms and moderate lift cams. Some applications come in a high-profile design that's 1 1/4 in. 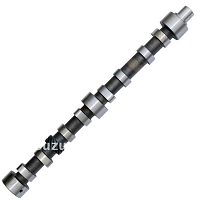 taller than stock and clears most roller rockers and valvetrain components, and a low-profile design that clears air conditioning and alternator brackets.